The City of Mandurah has removed the whale carcass from Florida Beach in Mandurah. The satellite-linked receiver at Smiths Beach, south of Yallingup, has been replaced following recent storm damage and is now online. As a result all components of the Western Australian Shark Monitoring Network are now fully operational. 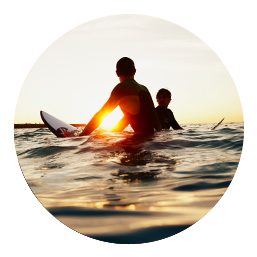 Keep informed of the latest reported sightings and tagged shark detection information by checking the SharkSmart website or Surf Life Saving WA’s Twitter feed. The Shire of Irwin has removed the whale carcass from Knobby Head, north of Leeman. The Department of Biodiversity, Conversation and Attractions has removed the whale carcass from Jurabi Point Beach, Ningaloo Marine Park. A shark ADVICE has been issued due to a whale carcass being reported on a mudflat, 2 kilometres north of Karratha in Nickol Bay. A shark ADVICE has been issued due to a whale carcass being reported on the beach in Lefroy Bay, Ningaloo Marine Park. The Humpback whale carcass reported 1 km north of the Port Gregory boat ramp has now been removed from the beach. The shark notification system outage, related to tagged shark detections, has been restored and is fully operational. Detection information has been reviewed during the time of the outage and no detections occurred during this period. The system for reporting and publishing shark sighting reports was not affected during the outage. The City of Albany has removed the whale carcass from Cheynes Bay, east of Albany and the beach has been reopened. Additional caution at this location is still advised as any residue from where the whale carcass was beached may still attract sharks to the area.